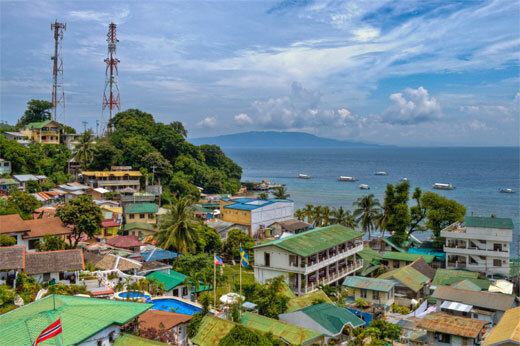 The towering lighthouse at Sinandigan Puerto Galera overwhelms you with a stunning sight of the glorious Verde Island (Isla Verde) and the splendid vista of Puerto Galera's numerous dive sites. Leap into the underwater realm of Sabang, Puerto Galera's own submerged Eden. 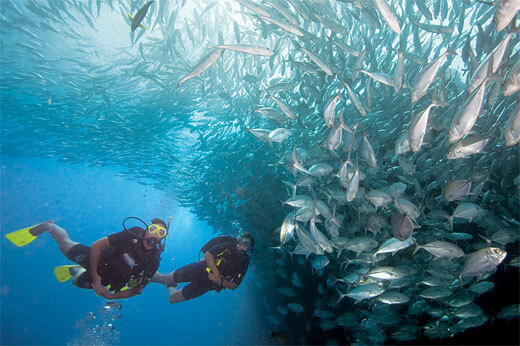 Plunge and dive into its sultry waters described as the "centre of the center's world's richest marine biodiversity". Frolic on Big Lalaguna and Small Lalaguna waters; enjoy endless activities at the Proper; see and experience world-class resorts at Behiya and Dalaruan. The idyllic way of life is beyond imagination at Palangan Puerto Galera. Rustic, cool and a relaxing style of living that is far from the hustle and bustle of busy life awaits you. Indeed, a city in the wilds!!! An emerging busy area is Poblacion Puerto Galera. True to its name, the place remains to be the center of trade and commerce. 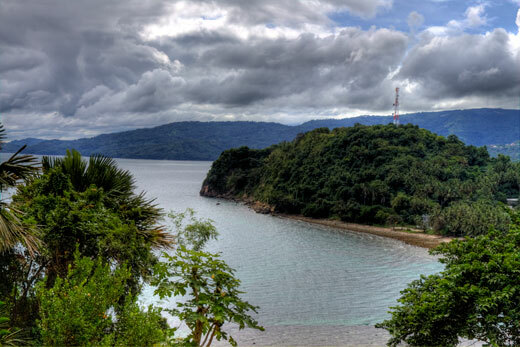 This is also the grand location of Puerto Galera Bay, voted "One of the Most Beautiful Bays in the World". Fittingly applies to Tabinay Puerto Galera and somewhere in the place boasts of unending and shining splendour of gold. It's a rare occurence to find a river with spring within a sea! It's definitely real! Call it one of God's heavenly work! Find it at Dulangan Puerto Galera. If you wonder where it could be, then it's in Villaflor Puerto Galera. The name signifies flowers and blooms with different shapes and decorations. Tamaraw and Tukuran Falls are added bonus for visitors' enjoyment. It is home to throngs of eager fishes waiting to be fed by visitors. It is also an interesting drop-off point for shallow dives. Come across a place called Sto. Niño Puerto Galera. The warm ambience exuded is distinctly theirs alone. Get nearer and feel the relaxing trip. See for yourself and relish the warmth of Balatero harbor. 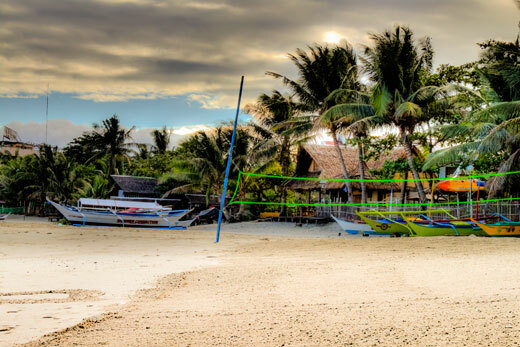 It is the leading beach area in Puerto Galera with its radiant stretch of white sand. 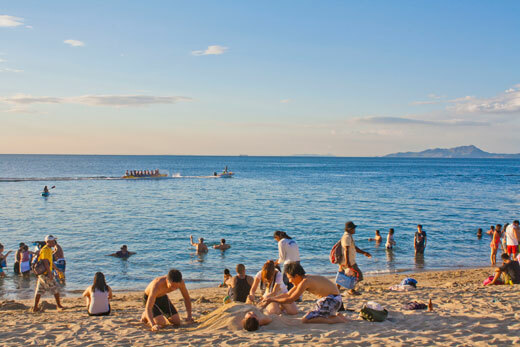 Patronized worldwide by beach lovers, White Beach in San Isidro Puerto Galera has become a much treasured hangout place for local and foreign tourists. It offers fine fair sand fringed with cool azure waters. Linger in the mightiness of the heights. A giant rock formation awaits adventure seeking visitors. Enjoy the elegance of Aninuan and Talipanan Falls - anticipate a 40-minute trek passing through the rivers before finally reaching the falls. 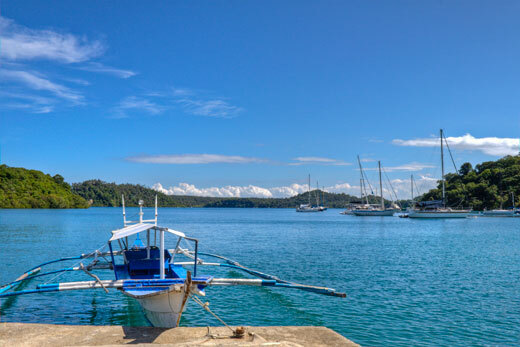 Snorkeling, swimming, boating... all in just one place at San Antonio Puerto Galera. Reef fish, a variety of corals and coral formations - stunning site for marine camera work and a cut of the seventh heaven. The place is a set for nature adventurers and cultural immersion. During the day, indulge in activities such as strolling, biking, and trekking. In the evenings, campfire chats and star gazing never fails to entertain. This section is part of Sea Jewel Beach Resort's Puerto Galera Travel Guide. Click here to go to the main area. Check out White Beach Puerto Galera Hotel Room Rates. message to your friends to tell them about this Travel Guide - 13 Must See Areas in Puerto Galera page.